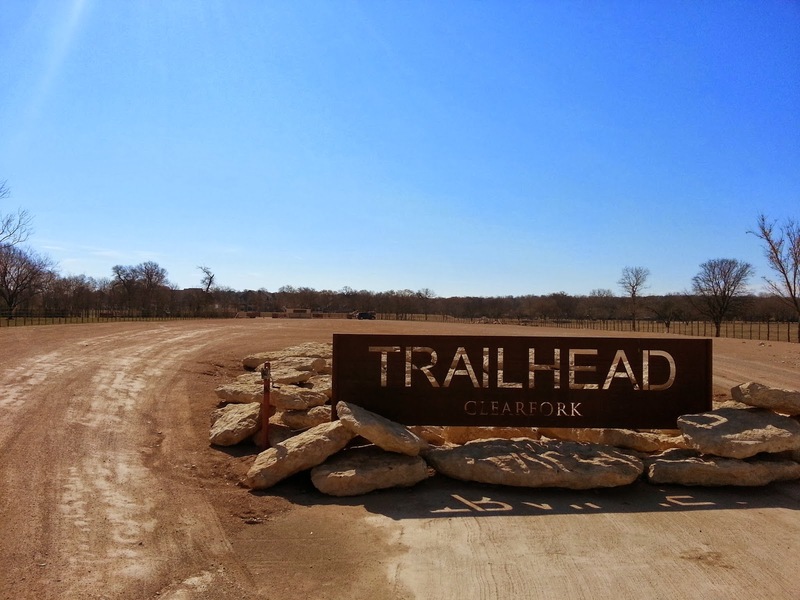 The newest trailhead on the Trinity Trails is in the new Clearfork development. The Clearfork development is on the North side of the Trinity River, East of Bryant-Irvin Road and West of Hulen. It is accessable from Bryant-Irvin on Edwards Ranch Rd. and from Hulen by going across the new bridge (Clearfork Main St.) across from Trader Joe's. 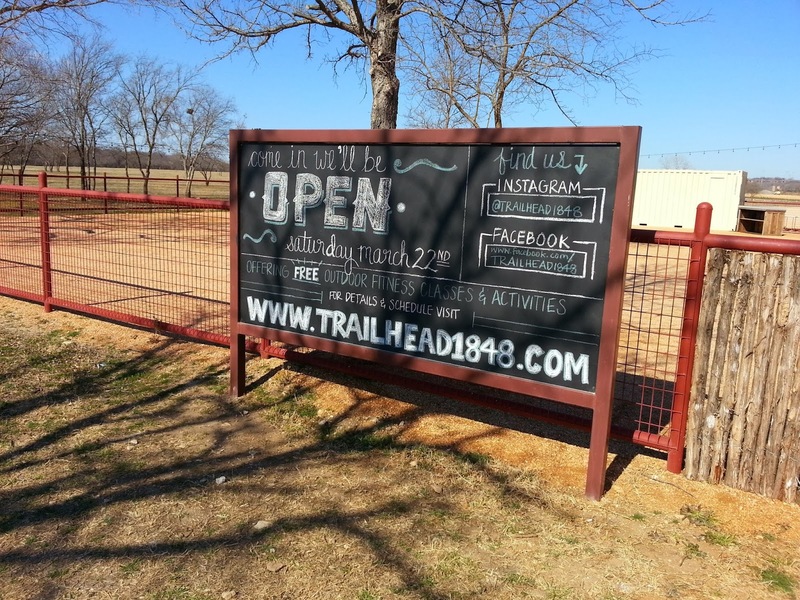 The new trailhead, Trailhead 1848, is at the traffic circle where the above 2 streets meet (Edwards Ranch Rd. and Clearfork Main St.). 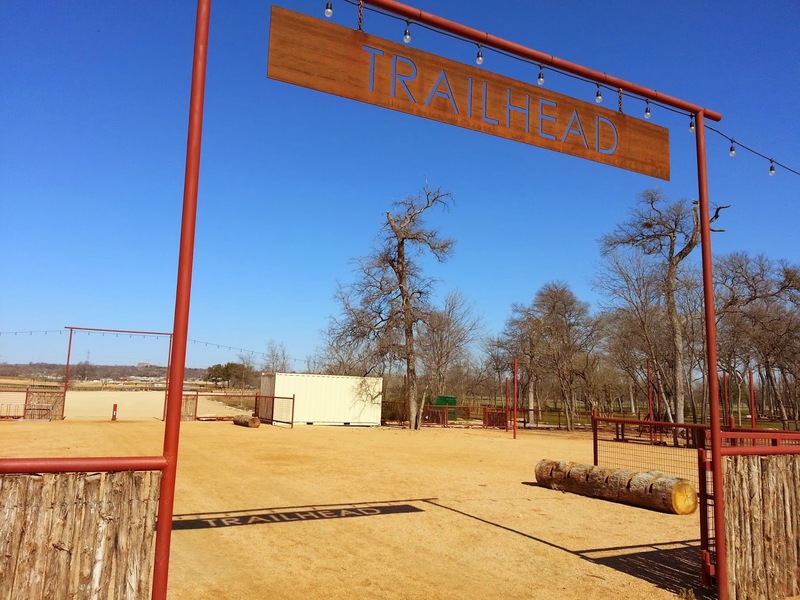 The new trailhead will have activities on Saturdays starting March 22. More information is at the Trailhead 1848 website. Parking and trail access is free. 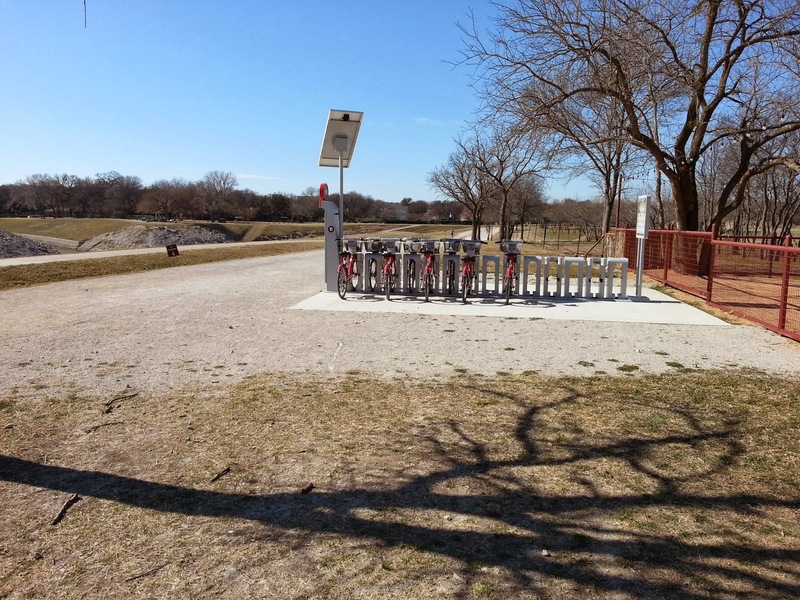 There is a Fort Worth Bike Sharing station at this trailhead. Information board view from trail. Fort Worth Bike Sharing station on trail side. Trailhead gate to trail. Background shows trailhead gate to parking area. The open area in between is for activities and food trucks, etc. Trailhead parking area entrance from traffic circle at Edwards Ranch Rd. and Clearfork Main St.